The unfortunate reality is that contesting a will has become quite common. No matter how much you try to eliminate family squabbles about who will receive your estate when pass on, disputes are still inevitable. 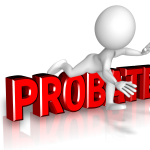 Will contests are the primary reason for probate litigation. Nevertheless, there are some steps you can take to avoid these disputes. There are basically four reasons that the validity of a will can be challenged. These legal grounds include when the will has not been properly signed, when there is a question regarding testamentary capacity, when undue influence is suspected in the execution of the will, and when it is suspected that the will was acquired fraudulently. Most of these grounds are challenging to prove. Was the will properly signed? The laws of each state regarding wills will govern the specific requirements for creating a valid will. In most cases, the will needs to be signed by the testator, that is, the person creating the will, along with two witnesses. The witnesses typically need to be present during the execution of the will and the required signatures. There can also be a challenge to authenticity of the signatures, or the fact that a required signature is absent. 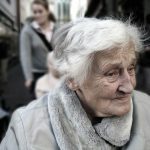 Was there a lack of testamentary capacity? Even when incapacity is only temporary, establishing that the testator was not incapacitated at the time the Will was executed is still necessary. 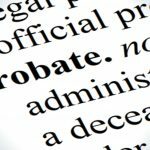 Establishing incapacity, as party of probate litigation, can be a challenge in most cases and often expensive. 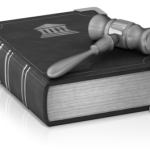 Was the testator subjected to undue influence or coercion? 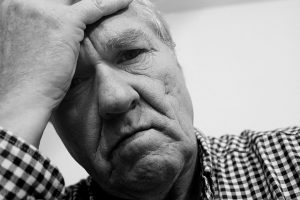 Unfortunately, depending on the circumstances, it may be suspected that undue influence or coercion was used to pressure a testator into either creating their last will and testament or including specific provisions. This is a common issue when there is a suspicion that the testator was emotionally vulnerable in some way at the time the will was created. Another issue involves exploiting someone who, due to age, may have lost some mental faculties. As with establishing incapacity, proving undue coercion can be just as difficult. Was the will obtained through fraud? 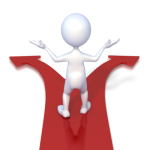 Deception is often a major issue in creating wills and other estate planning instruments. Similar to undue coercion, fraud in the creation of a will can also be an issue. A will can be contested through evidence that the testator may have been deceived into signing the will or including terms in the will which the testator did not initially intend to include. For instance, a testator may be given a document that is represented to them as something else, when in fact it is a will. The problem with proving fraud is that the chief witness, the testator, is no longer alive to testify. That is where the witnesses to the will become crucial. In order to be sure that your family will not be involved in probate litigation, contesting your will, after your death, you should consider creating what is commonly referred to as a “self-proving” will. This specific type of will takes the guess work out of the authenticity of a will. Basically, you must sign your will in the presence of a notary, along with your witnesses. Also, you and your witnesses are required to sign a notarized affidavit that states who you are and confirms the fact that each of you was aware you were signing the will. The notarized affidavit is kept as a separate document. The greatest advantage of using a self-proving will, in addition to eliminating the need for probate litigation, is that it speeds up the probate process. Download our FREE estate planning worksheet! If you have questions regarding probate litigation, or any other estate planning matters, contact Gaughan & Connealy for a consultation either online or by calling us at (913) 262-2000.